This Joomla! extension. 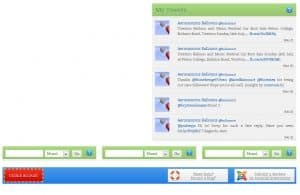 allows you to manage your Twitter profile on your Joomla! website. Saving you time and money. Additionally it’s been built for the “end-user”, with a slick interface, simple controls and the ability for both novices and experts to find it useful. Media Tweet Lite is on a special introductory price. Discounted to £39.99 from £49.99. Offer ends soon. TOP TIP: Install this on your clients website and allow them the ability to get social in a easy way! It’s easy to install and set-up Media Tweet. Just follow the guide below. Once the component is installed go to the component in the back-end of Joomla! Click on the “Add Menu Item” button and set up a new menu item in the Front-end of your Joomla site. Go to the front-end of your website and visit the new menu item. On the new page in the front-end you should now have a “Link Account” button. 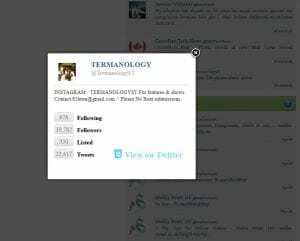 Click this and link your website with your Twitter account. Congratulations! 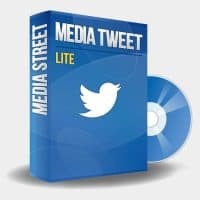 You’ve now set up Media Tweet Lite for Joomla! This component is tried and tested on Joomla 2.5.6 to 2.5.9 and it’ll work fine with any installation of Joomla 2.5. The answers to the questions below go on the basis that you’ve followed the “Installation Steps” we’ve provided and the component is all installed. Does the component use URL shortening services? Yes, Media Tweet is integrated with Sum.Do . To enable this feature navigate to the front-end of Media Tweet (where you write tweets etc.) – on this page, at the top, you have a On/Off button for Sum.Do. 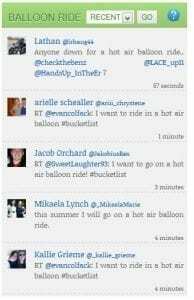 How do you send a Tweet? On the main page, in the front-end, at the top of it is an input box to compose your tweets. Once you’ve wrote your tweet click “Update Now”. On the main page, in the front-end, at the top of it is an input box to compose your tweets. Once you’ve wrote your tweet use the schedule box below, here you can set what time and day/month/year your tweet will be published on Twitter. Once you’ve configured the date and time settings click “Schedule”. How many Tweets can I schedule? You can schedule unlimited twitter updates. How does it send the Tweets that are Scheduled? You need to have set up a scheduled task/cron. You normally would do this via your hosting control panel (so please contact your web host for instructions on how to set up a scheduled task/cron) . When setting up the automated task you can find the correct path/file to run by visiting the back-end (administrator area) page of Media Tweet. How many accounts can I link to Media Tweet Lite? You can only link 1 account. For customers wishing to manage multiple Twitter accounts, using Media Tweet, we recommend purchasing Media Tweet Agency. How do I view someone’s profile? If you click on a Twitter users avatar/user image then their profile information will open in a pop-up.